I am a huge cake lover but not a very good baker. Which is probably best as I would most likely be the size of a house if I was skilled at making cakes and goodies! That being said, I stumbled across this recipe for some healthy, low calorie, oat muffins which didn't look too challenging for a novice baker. 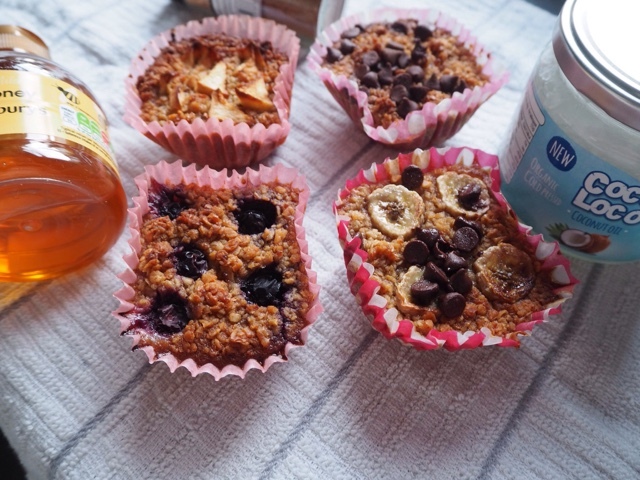 I used this recipe which advertised these oat muffins as a grab and go breakfast item. However, these are a little too sweet for me to eat first thing in the morning so I have eaten them as a low calorie pudding for on an evening. 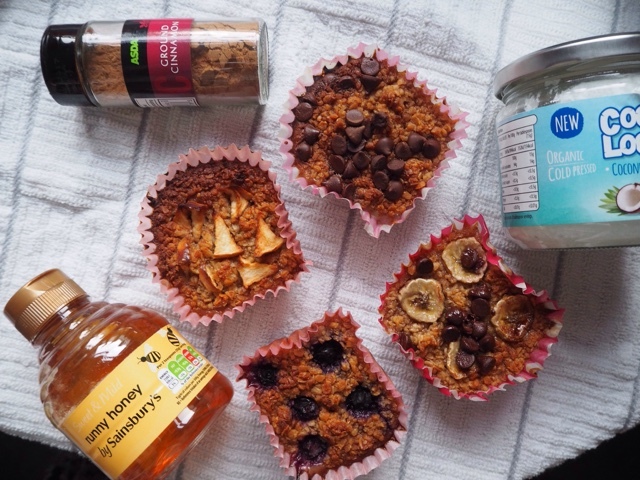 I made a few tweaks to the original recipe that I had read, so this is the list of ingredients that I used to create these healthy oat muffins, but you can choose what you like and make your own alterations. 1. Heat your oven to 200 degrees and place muffin cases onto a baking tray. 2. In a large bowl whisk the eggs, brown sugar and melted coconut oil until the sugar is dissolved. Then add the cinnamon, honey, milk, salt and vanilla extract and whisk it all together. Add the oats and baking powder and ensure that the ingredients are well mixed. 3. Spoon the mixture evenly amongst the muffin cases. 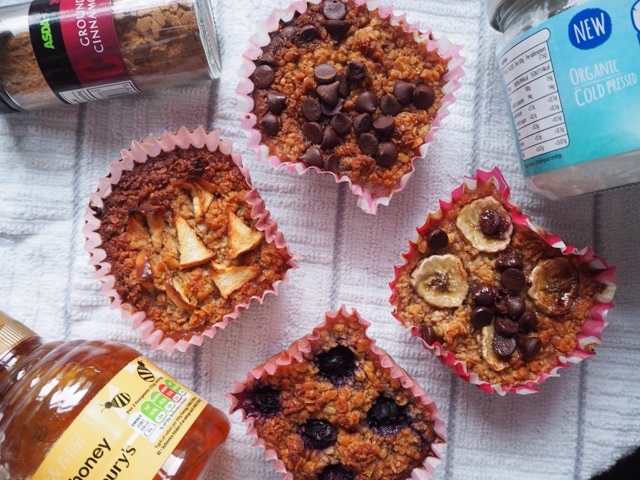 This recipe made twelve Healthy Oat Muffins. Then add your chosen topping ensuing that you push them well into the mixture. 4. Place baking tray in the oven for thirty mins and then wait for them to cool before eating. Store in an air tight container once fully cooled. 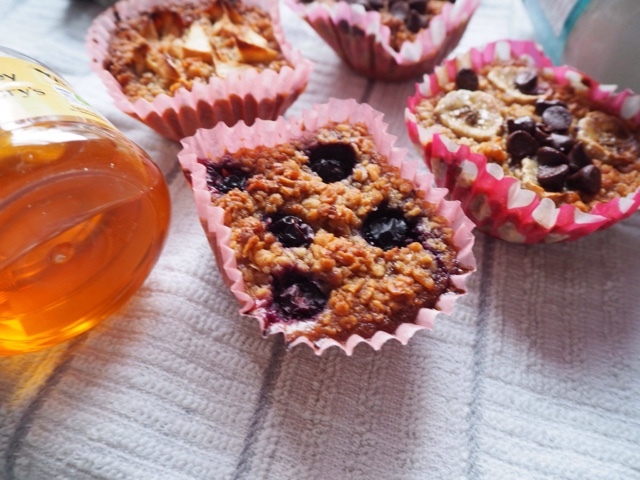 I really enjoyed making these healthy oat muffins as they were pretty simple and turned out great. They are seriously yummy and a great treat on an evening that doesn't leave you feeling too guilty. At just 200 calories per muffin they are a great sweet treat and I was really impressed with the out come of the recipe. 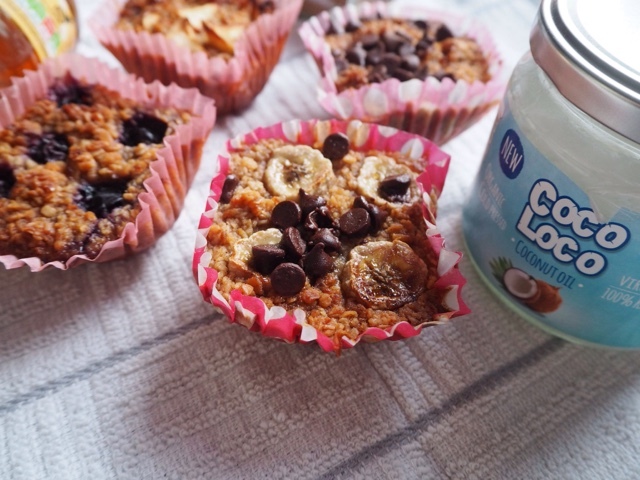 What do you think about the healthy oat muffins?